When it comes to gender-based inequality, the issues facing girls and young women take shape in different ways. A disproportionate number of girls will experience sexual-based violence and discrimination in their lives. However, this inequity not only manifests through such outward acts of discrimination, but also in the day-to-day lives of girls and young women everywhere. This, in turn, impacts all of the ways that they interact with society, and particularly other girls. Girls Inc. is actively fighting against social inequities to empower girls and young women to thrive. First founded over 150 years ago to serve girls and young women who were experiencing upheaval in the aftermath of the Civil War, the organization has expanded across the United States and Canada. 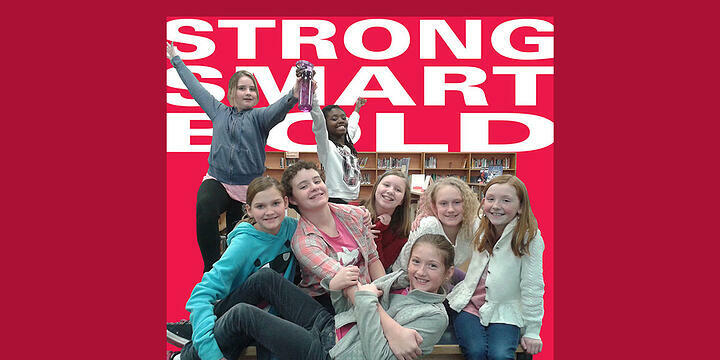 One of the Canadian-based Girls Inc. chapters is Girls Inc. of Limestone, which serves Kingston and Belleville, Ontario, and the surrounding communities. Founded in 1972, the organization has grown to serve 1,400 girls each year. Girls Inc. of Limestone embodies the mission of the broader Girls Inc. organization, while specifically supporting the needs of girls in their district. The nonprofit is counteracting the negative pressures that girls face on a day-to-day basis through programming that supports positive affirmations of the girls' worth. "At Girls Inc., we know girls can thrive when they receive messages of aspiration rather than limitation, along with the resources and mentoring needed to overcome adversity and be resilient," says Lindsey Belch, CEO of Girls Inc. of Limestone. Belch and her colleagues provide this mentorship through different programs at the nonprofit. All of these programs, Belch tells us, work to improve upon the reality of the status of girls and young women in their community. Girls Inc. of Limestone offers ongoing programs that allow the girls to connect with mentors as well as with one another. These programs also teach valuable skills that will prepare them for adulthood. The Smart Start Youth Employment Program is one such opportunity. It works to equip participants with employment skills and experience. The organizers partner with local employers, who offer 22-week employment stints to the young women. Throughout the program, participants are taught money management skills. They're also empowered with the responsibility of earning their own income. Together, these lessons combine to ensure that the girls are able to achieve financial self-sufficiency. As Girls Inc. of Limestone works to teach critical financial lessons to its members, the organization is simultaneously challenged to maintain high-quality programming on a minimal budget. "Girls Inc. Limestone is a grassroots organization funded by program grants and fundraising activities," shares Belch. "As such, we always have very limited funds to support our infrastructure and administrative needs." For Belch, it's crucial for the organization to operate on best business practices to obtain the funding they need. This includes having the technology necessary to maintain information and statistics, manage revenue and expenditures, prepare tax receipts, gain supporters through marketing, and more. In order to handle these processes — as well as ensure security and accountability — Girls Inc. of Limestone first requested QuickBooks from TechSoup in 2012 through the Intuit Donation Program. Belch and her colleagues saw the benefits of the technology quickly. "The switch to QuickBooks was a significant one and immediately brought our bookkeeping and reporting functions up to industry standard. We also were able to produce significantly improved reports for our funders, board of directors, and auditor." Girls Inc. has continued to access updated versions of the software through TechSoup ever since. Belch has been involved as a senior staff person at Girls Inc. of Limestone for over two decades. Over the years, Belch's commitment to the organization's mission has remained strong. "I feel very privileged to work for Girls Inc. and contribute to improving the options and outcomes for our community girls and young women," she says. Belch is excited about the future of the organization. "Over the next three years we are greatly increasing our advocacy for girls through news and video marketing and social media." As the organization grows in its use of technology, so does its ability to program around it for the girls who participate. 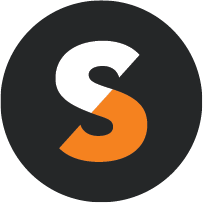 "I look forward to future training opportunities through TechSoup, as well as new software and technology that will assist us to achieve success in this expansion." Watch our free webinars on QuickBooks for new users (desktop), new users (online), existing users (desktop), or existing users (online).